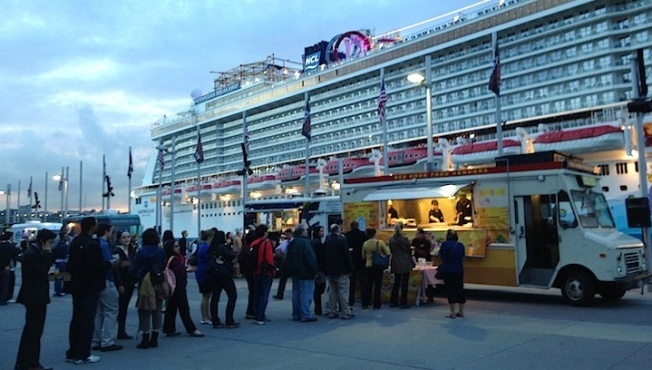 The Village Voice Choice Streets food truck event is back Thursday, May 7, 7PM-11PM (Rain date: May 9) and we're thrilled to return to Pier 86 for a night of New York's best street food and endless libations, all while surrounded by The Intrepid, New York City, and the Hudson River. Get a taste of over 20 food trucks and nosh the night away. Our favorites include: lobster rolls at Luke's Lobster, gyros and fries at Souvlaki GR, and ice cream sammies from Coolhaus. It's a perfect way to spend a spring night. Work off that souvlaki with the beats of Andy Rourke of The Smiths and get a free tour of The Intrepid with your ticket purchase. Early bird tickets ($60) and general admission tickets ($50) are still available. Click here to purchase. Now, who's ready to eat?